Chris Froome told VeloNews he is enjoying some downtime before planning his 2019 season with Team Sky. Following a wild and hectic two-year rollercoaster, Chris Froome is in no hurry to set markers for the 2019 racing season. The four-time Tour de France champion pulled the plug on his season at the Tour of Britain last month and is enjoying some family time with his newborn daughter. Speaking to VeloNews, Froome said the 2019 racing calendar is not quite on the horizon. 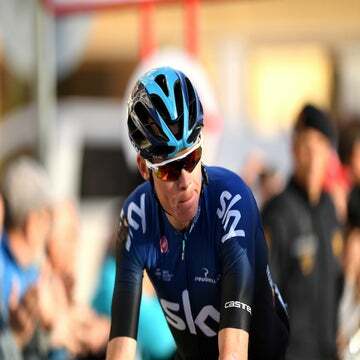 Froome is taking a respite following his run of four straight grand tours that included victories in the 2017 Tour de France, 2017 Vuelta a España, and 2018 Giro d’Italia. His bid for a fifth yellow jersey fell short as Sky teammate Geraint Thomas barreled to victory. That still marked four straight grand tour victories for Team Sky, and Froome said he has no regrets about how his season played out. Froome won the Giro to complete cycling’s version of the “Tiger Slam” by winning all three grand tours in a row across two seasons. Froome — who recently added his influence to push for a stronger voice for riders — said the 2018 calendar was optimal for a run at the Giro-Tour double. The big question going into 2019 is how Team Sky will balance its wealth of GC options. Along with Thomas and Froome, there’s budding Colombian superstar Egan Bernal as well as Michal Kwiatkowski, who are eager for more chances to lead at grand tours. It’s likely Sky will give Bernal a chance to lead at a grand tour following his spectacular Tour debut in 2018. The 21-year-old climber was spectacular in the final week and will be keen to have a shot at leadership, most likely at the Giro. Kwiatkowski will also want to continue on his progression despite running out of gas at the Vuelta after leading in the first week. All eyes will be on how the team balances Thomas and Froome. Both will want to have another shot at the Tour. 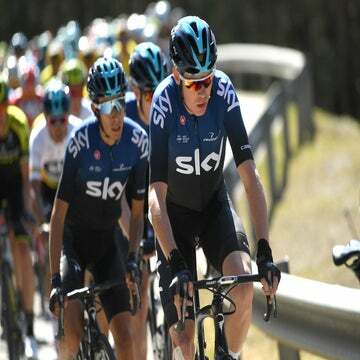 Froome’s record and weight as a leader would suggest the team will back him for a run at a record-tying fifth yellow jersey. Thomas, however, will likely start as a protected co-captain, similar to how the team approached the 2018 Tour. Sky sport director Nicolas Portal told VeloNews during the Vuelta that the team has not yet mapped out its grand tour plans for 2019. After winning the Giro and Vuelta to round-out his palmares, what remains for Froome is to win a record-tying fifth yellow jersey. It’s likely the Tour will be at the center of his 2019 calendar, but he’s not giving away anything yet. For Froome, who also was cleared during his controversial Salbutamol case, taking a few weeks away from the pressure-cooker of the peloton is welcome. Check an upcoming issue of VeloNews for more from Froome on his 2018 Giro d’Italia victory.